Description: Stampers Anonymous Cling Mounted Stamps are detailed with creative designs for your projects. 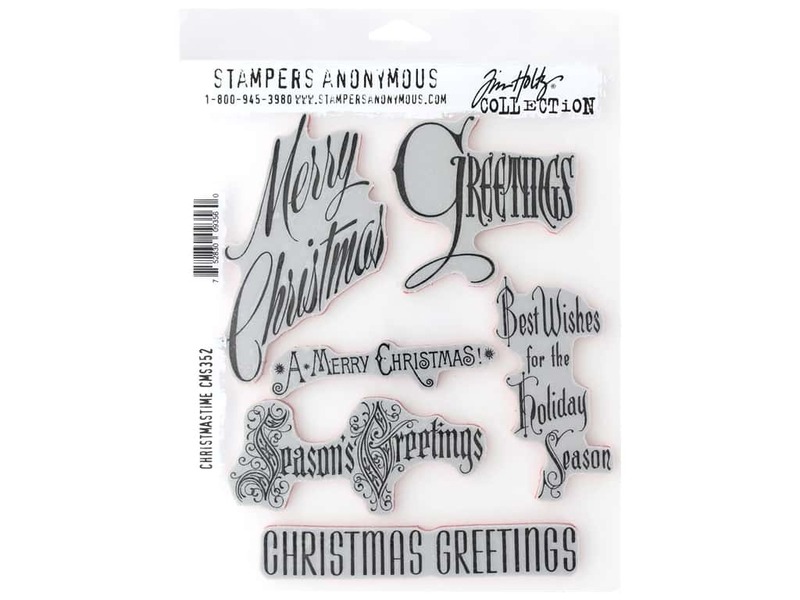 Deeply etched cling mount rubber stamps adhere to any clear acrylic block. Tim Holtz Christmas Time- 6 caption designs include: Merry Christmas, Greetings, Best Wishes for the Holiday Season, A Merry Christmas, Season's Greetings, and Christmas Greetings. Stamps come on a 3-hole punched sheet for easy storage. Largest measures approximately 2.75 in. x 4.25 in. See more Stampers Anonymous Cling Mount Stamp.